The Danish concept of hygge refers to the cozy feeling you get when you arrange your home in a certain way. Decorating in this style means focusing on comfort and relaxation in your own home. There are many little aspects that contribute to creating a hygge space including adding candles, cozy blankets, and enjoying the happy feeling you get from reading books and drinking warming teas. Learning to embrace hygge and improve your home in this style isn’t very difficult. 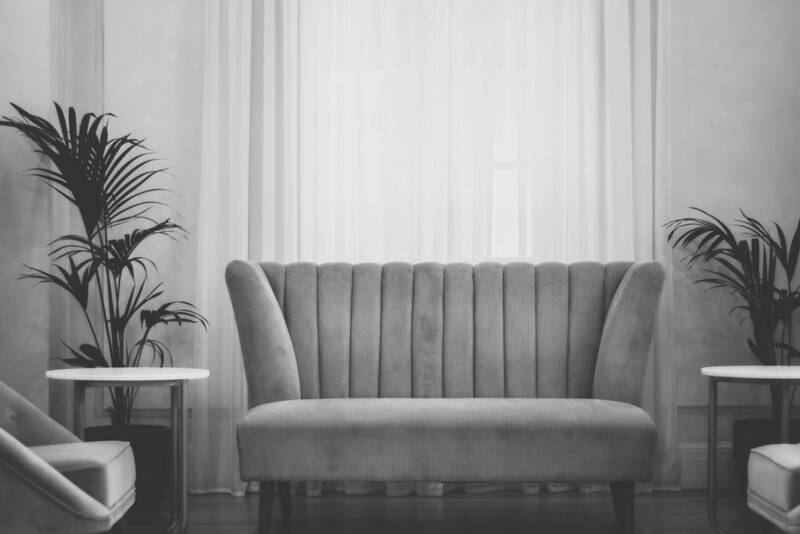 It takes minimal effort and the end result can be very satisfying as your stress levels will go down and the entire home will feel calmer and more inviting. Incorporating hygge in your décor is essential for anyone who wants to add some joy in their everyday life. 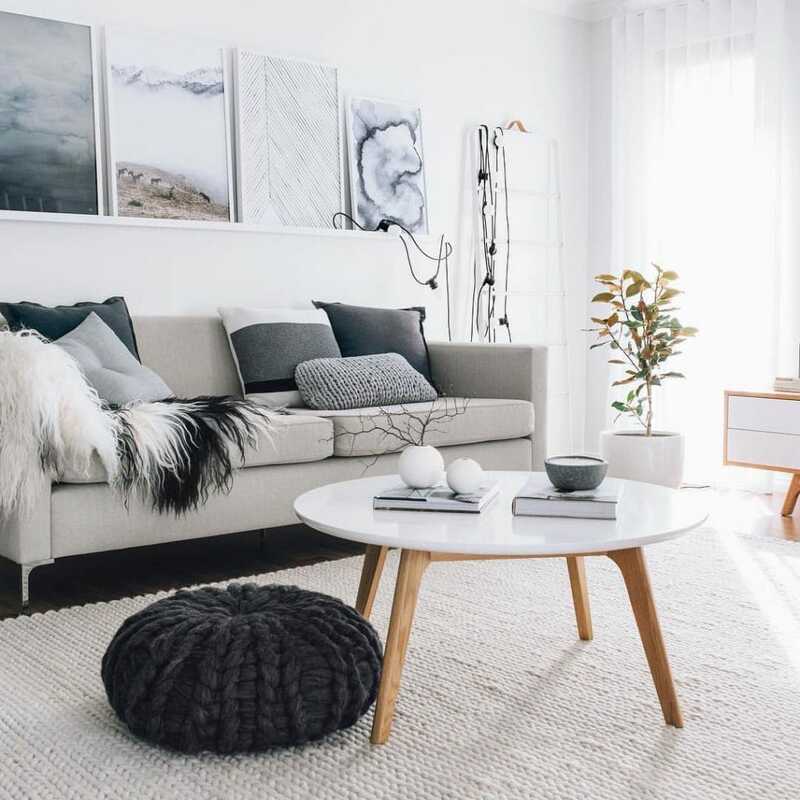 This is different compared to other interior design trends as hygge can be considered a state of mind. Whether placing candles or installing lamps, the lighting in your room needs an upgrade. Any home that’s full of hygge should focus on lighting as this is one element that can really affect your mood in a positive way. 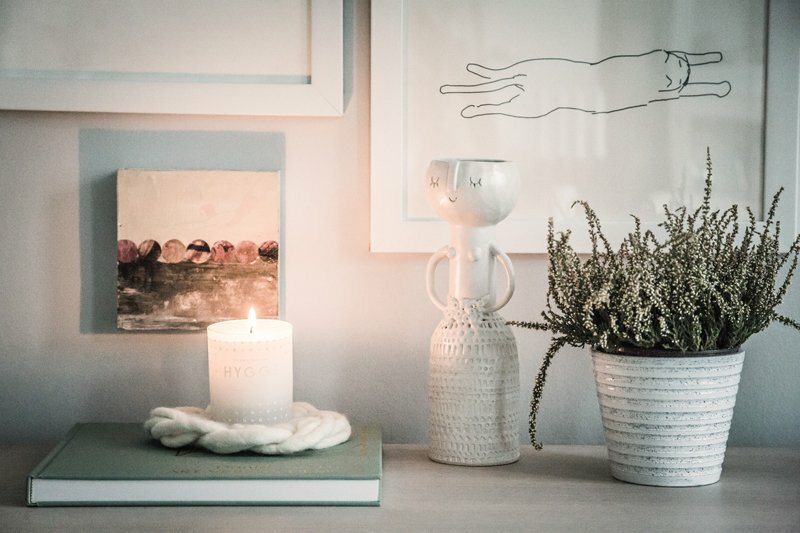 It’s not surprising to find out that Scandinavian countries love candles as it’s extremely common to find them scattered throughout people’s homes. Trying out some new candles represents one simple and effective way to bring a hygge flavor to the room. There’s an impressive variation of candles out there. They’re carved in many attractive designs and can fill your living space with pleasant aromas if they’re scented candles. Investing in some more creative candles could be a good first step to making your home more hygge. As a great example, take a look this scented candle set made from natural wax found on Amazon. The glow of the candle fits great in many situations where you want to create a more relaxing atmosphere. It’s cozier to read your favorite book when you’re surrounded by warm candle lights. The winter season pairs particularly well with candle decorations and you can enjoy the soft orange light regardless of room. Candles are great for decorating in a hygge style, but there are other lighting solutions to consider such as twinkly lights which add a cheery, festive glow to your cozy spot. This is one of the principal rules of incorporating hygge in your décor. You should always remember that keeping things simple can add a superior effect compared to overhauling the interior space with too many items. For example, you could select only some décor pieces that find the best balance between style and functionality. Try to emphasize the placement of more subtler items such as only your favorite books or a great memento from your grandparents. Making your room feel more comfortable is an important tip that you should follow if you want to feel more relaxed after a stressed day at work. Adding a soft blanket over you when reading a book on the couch is a good example. Consider various little items such as fluffy pillows and cashmere blankets that offer a great treat to your sense of touch through their comfortable textures. Here’s a nice throw blanket from Amazon. 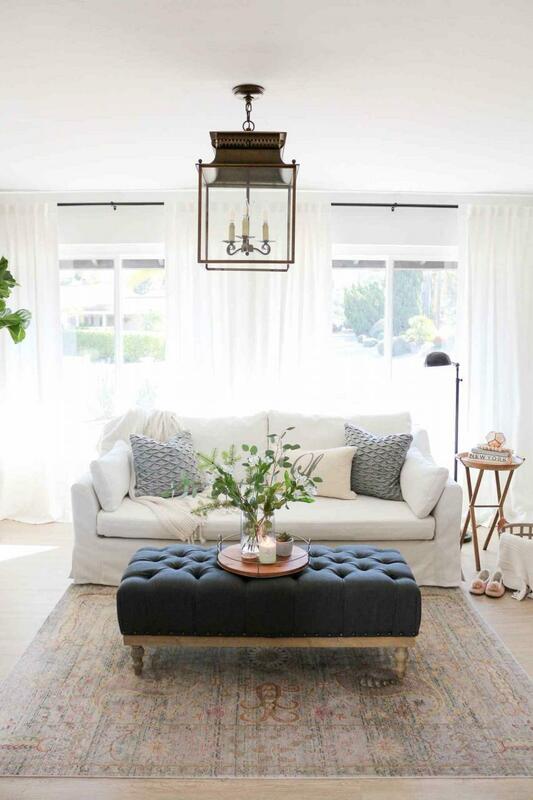 Cozy elements aren’t just highly functional but they also add some elegant textures which harmonize with other pieces in the room to complete the hygge décor. Things need to remain simple and cohesive so that’s why it’s recommended to focus on natural materials which add a sense of warmth. The color palette should follow the same minimalistic trend with just a slight tinge of warmth. Bold and exciting colors can have an energizing effect for some people, but it’s safe to say that most people can find them too distracting to see on a daily basis. 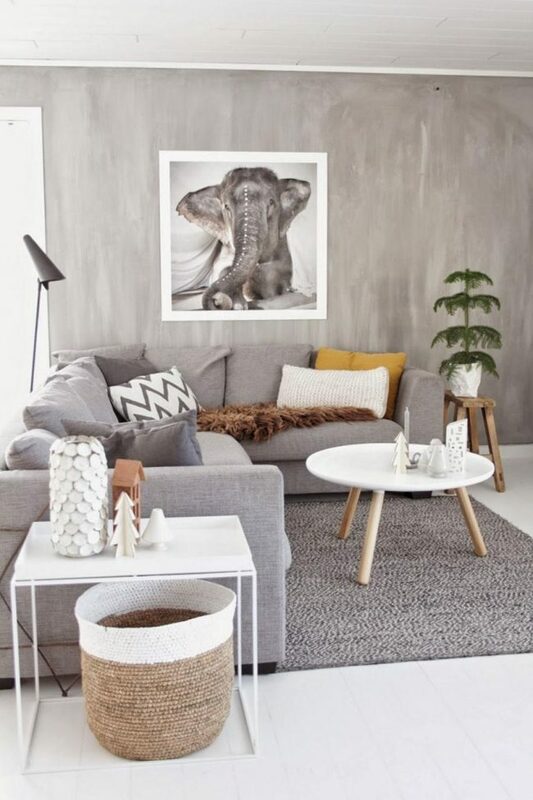 This is why your home décor needs neutral colors that allow you to relax and feel more comfortable with your living space. 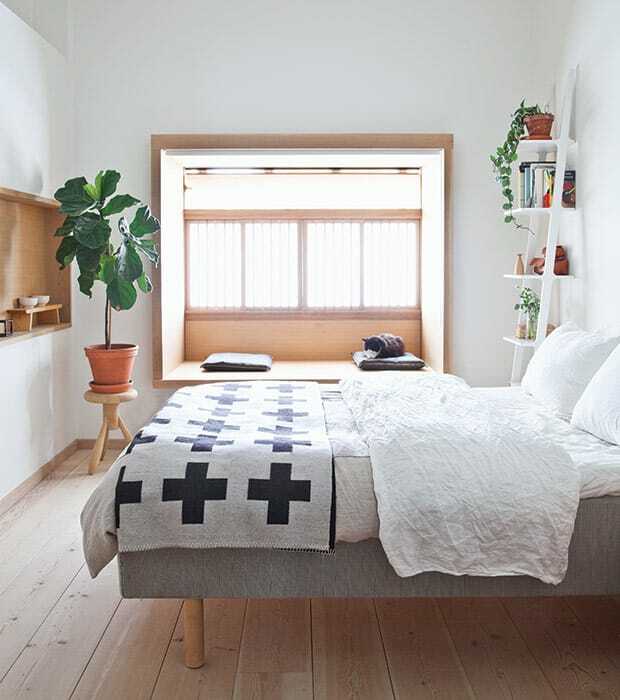 For an extra Scandinavian touch, you should consider adding warm woods when redesigning the look of your home. 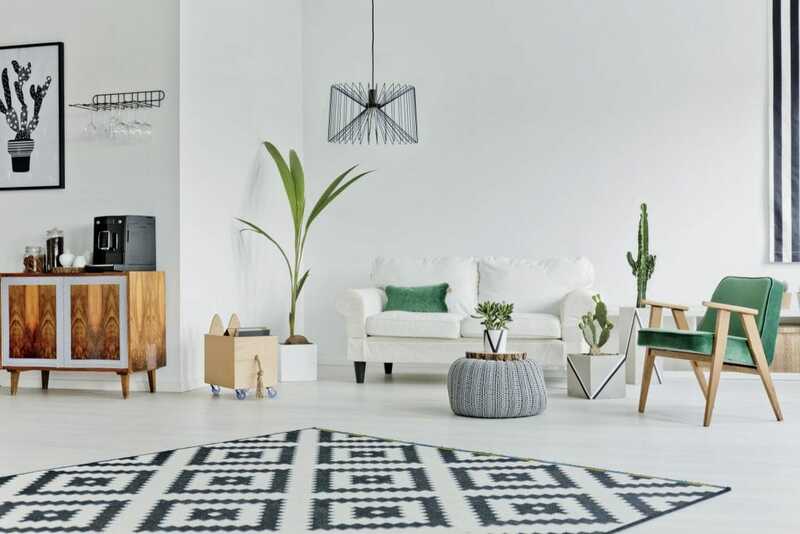 The pleasant tones of the wood aren’t just helping to create an inviting atmosphere, but they also make you feel more connected with the beauty of the natural world. The bathroom in a Danish home isn’t just a functional space, it’s more like a sanctuary that you can retreat to. 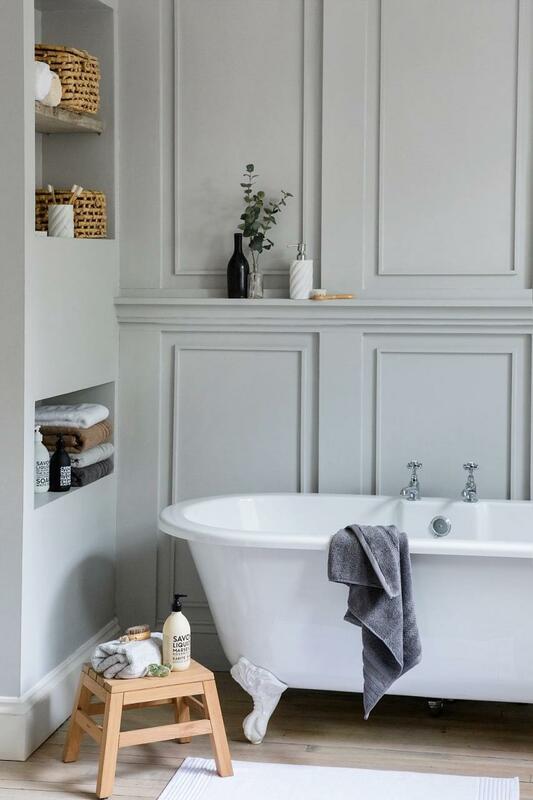 Reinventing your bathroom with some hygge decorations can help you escape the monotony of daily life and get away from the stress. Don’t worry about having to completely redesign your whole bathroom. Simply changing a few elements should be enough to create a noticeable improvement. Continuing with the coziness theme, you could add a plush rug that transforms your bathroom routine into a more pleasurable experience. Avoiding clutter is important if you want to live like the Danish people. Consider adding some hidden storage space in the bathroom to keep items neatly organized and out of view. To complete the overall look you could add some candles and fluffy towels. As you’re spending a considerable amount of time at home, it’s a good idea to invest in some extra comfy loungewear. For example, you could start by upgrading your current bathrobe to a softer plush model like this warm fleece robe from Amazon. Getting comfy in style is also possible if you choose a more interesting pattern or design. Loungewear can range from luxurious to casual and there are no specific rules as tastes and budgets differ. Whether you choose a more practical cotton robe or an extremely soft cashmere model, having comfier loungewear is definitely an important aspect of incorporating hygge in your décor. Socializing is an important part of Danish culture and the best way to spend time together with friends is by cozying up to a fireplace. If you want to take the hygge experience to a new level, getting a fireplace seems like an obvious thing to incorporate in your home. It’s a timeless way to create a unique sense of warmth and togetherness. 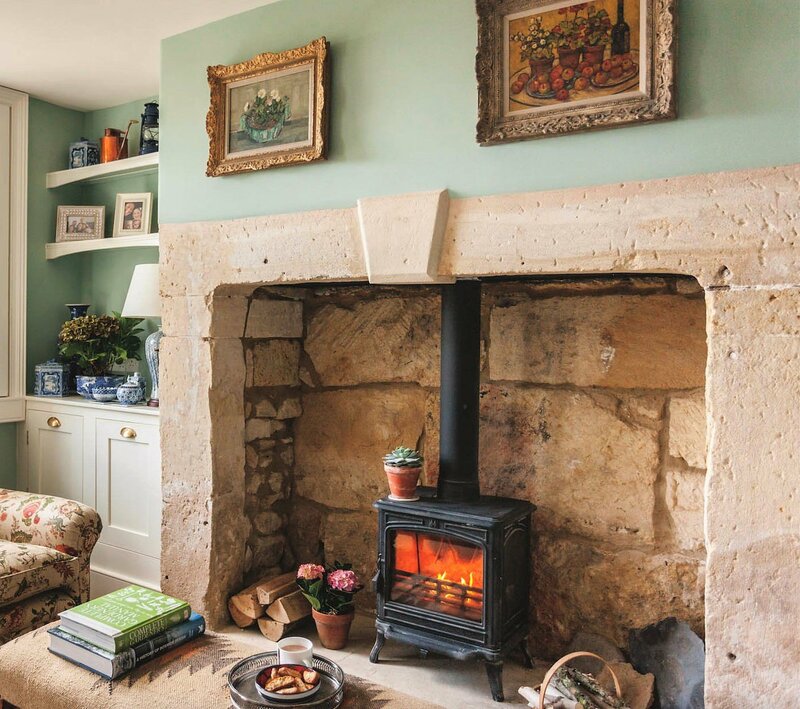 As we’ve discussed initially when we’ve considered the importance of lighting in a hygge home, making a fire ties back to it as it provides an extra layer of light. 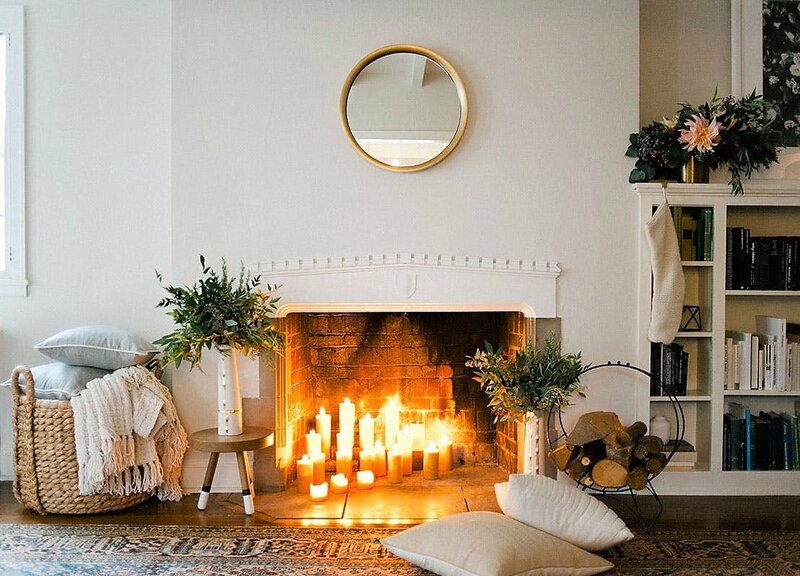 It’s great when you sit around with candles and string lights, but a fireplace adds a new dimension of hygge style into your home. Its radiating heat has an incredibly welcoming effect which can turn your home in a great interest point to meet up with friends and socialize. Even though when you think of hygge your mind will probably conjure up images of a cozy home, it’s also important to incorporate this relaxing concept into your outdoor décor. When you’re having a barbecue in the backyard you shouldn’t forget about the atmosphere in your surroundings which can be enhanced with some hygge decorations. Surrounding yourself with lanterns or adding some cozy blankets are some of the preferred methods of improving the outdoors atmosphere. When it comes to the winter season you will be able to create a more leisurely picnic by adding a striking brazier with a dashing copper color which can make any outdoor gathering more lively. Books are essential for anyone who’s into a more hygge lifestyle. Filling your bookshelf with books doesn’t just encourage you to read more, but it also enables you to make use of a solid decorative potential. It may seem like a simple effect, but organizing a bookshelf creates a sense of a more lived in space and that’s always welcomed when it comes to creating a hygge home. Tactile sensations matter a lot for hygge enthusiasts. The design of the room shouldn’t be just visually attractive, it also needs to feel comforting. It’s all about living in the moment and experiencing all the simple pleasures like tapping your feet on a cozy rug or running your fingers across a wooden table. Try to layer in multiple textures to make the entire home feel rich and satisfying to the touch despite its relatively minimalistic appearance. 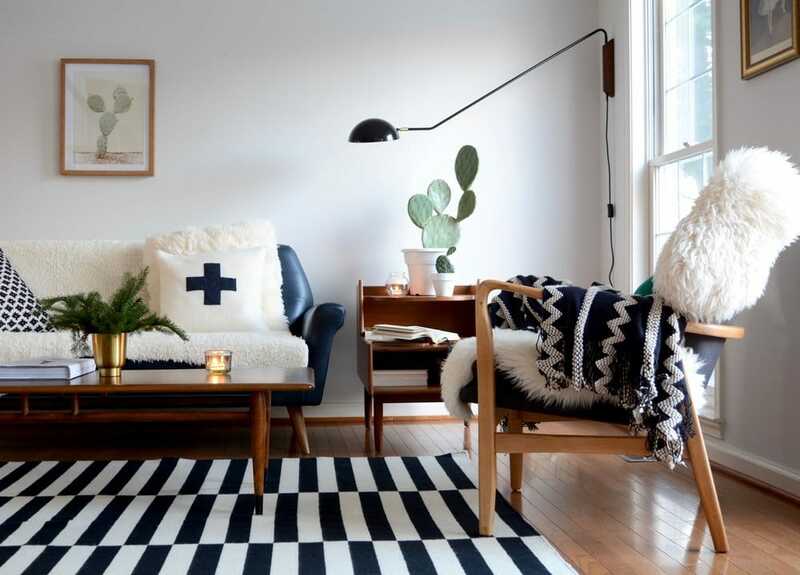 A few vintage touches can contribute to the overall hygge feeling in your home. Objects shouldn’t be seen as just ‘things’. Some pieces can have an interesting story behind them or represent treasured memories that evoke nostalgia. Displaying antiques or precious objects is considered to enhance any décor with a hygge twist. Everyone probably has some items that hold emotional value, but there’s also the option to recover a vintage piece from the flea market and give it a complete makeover. 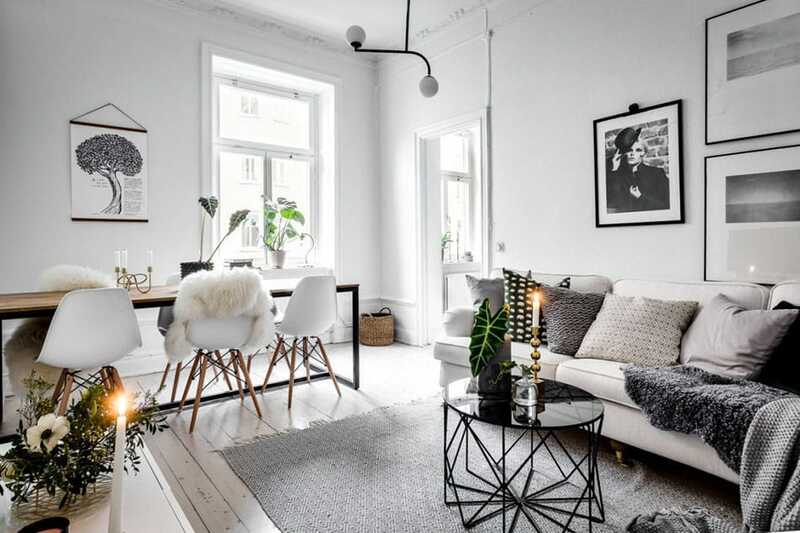 When redesigning your home in a more hygge style, you should consider creating a snug place, which is called ‘hyggekrog’ by the Danish. Book lovers, in particular, will probably like the idea of a cozy little nook where you can just relax with a great book in the comfort of soft cushions and warm blankets. For an enhanced effect, your snug place should be ideally created near a window view of nature. Grab some candles and a hot cup of cocoa to complete the atmospheric effect and disconnect from the stress and worries. The snug place is the best spot to feel safe and at peace in your home. Did you like our article? 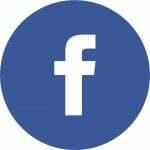 We would really appreciate it if you could share it with your friends, because we put a lot of work and passion in what we do. Also don’t forget to check out our other articles about the industrial decor style and the best moss wall ideas.